A year on from the Fair Work Act Review, the hotly contested industrial relations debate still seems to be raging. Almost a year later, many of the 53 recommendations from the review are still to be implemented. This recommendation seems to suggest there is a big gap in our current industrial relations system. A decline in union density coupled with the retirement of many IR professionals has resulted in a considerable lack of IR expertise in modern Australian businesses who struggle to cope with the increasingly complex industrial legislative environment. With a new Coalition government a near foregone result in the September elections, many in the union movement are trying to hose down accusations from the business press that our industrial relations system is conflictual or adversarial.Using strike statistics as evidence they argue that the system is actually collaborative. And on that basis they may be right. 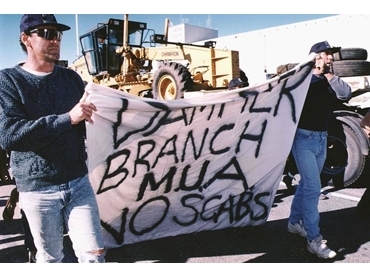 In fact, strike action in the building industry and the Victorian public sector notwithstanding, strike activity currently is much lower in comparison to say, 1987, which tipped at an astonishing 1,519 strike disputes. However, it is possible that the numbers are telling a different story. According to the ABS, in 2007 there were 135 disputes that resulted in a strike and in 49,700 working days being lost. Fast forward to March 2013 and the number of similar disputes has reached 218 with 289,500 working days being lost.Looking at the data from 2007 forces us to acknowledge that the current system is achieving neither a harmonious nor a conflict-free industrial relations environment. This is despite the fact that the majority of workplaces are not unionised and only 13% of the workforce in the private sector belong in a union. What is more, anyone with basic knowledge of industrial relations would tell you that strike statistics tell us very little of what is actually going on at many workplaces. Industrial action can take many forms and can happen either at a collective or individual level. Statistics from the Fair Work Commission suggest that while collective industrial action numbers as expressed through strikes are down from 25 years ago, there has been a significant increase in other forms of industrial action since 2009, such as termination of employment, adverse action and unfair dismissal. Further, many of these claims are in unionised workplaces where resorting to the Fair Work Commission is a more likely solution. It would thus seem that instead of minimising industrial conflict, the current system is creating further antagonism between employers and employees. As the Fair Work Act Review panel made clear, more needs to be done in producing more consensus based approaches through information and advice. The statistics tell the story. In the last five years unfair and unlawful dismissal applications and general protections applications involving termination of employment claims have almost doubled. What all this tells us is that our industrial relations system has not yet culminated in the so called industrial “peace”, despite of what many in the union movement would have us believe. A far broader picture emerges when looking at the facts. Now is time for a more consensus-based approach so as to build the conditions for sustainable productivity that would take Australia through the forthcoming challenging economic environment.If the current government will not decouple themselves from the vested interests and take action we hope that the next government will provide a far greater foundation of a consensus based IR system.